I read this article and found it very interesting, thought it might be something for you. The article is called Snow days and bad weather – be prepared! and is located at https://www.rocketlawyer.co.uk/blog/snow-days-and-bad-weather-be-prepared/. Recent years have seen the UK hit by ‘bad weather’ much earlier in the year than many would hope for or expect, from January right up to March. 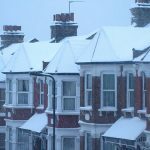 The UK has subsequently begun to gain a reputation for being unprepared for snow, as many will have witnessed when trying to get to and from work, home or anywhere else after what appears to be only a light scattering. But are you prepared for bad weather as an employer? Many employers could contribute to a discussion about employees and bad weather in one way or another. Whilst some may say that their employees turned up against the odds at any cost, many will say that the lightest of snow and their employees call in to say that they are unable to attend work, whilst others will show up late. Many employers do not know whether they should pay their employees if they don’t turn up, or if they turn up late. And many wonder whether they should or have to allow employees to leave early to get home safely if the weather takes a turn for the worse after they have already arrived at work. As the period for snow and bad weather approaches, it is important to have your questions answered. Do you have to pay an employee who does not turn up to work, or who turns up late due to bad weather? The starting point for answering this question is the employee handbook and contract of employment. If the contract of employment and employee handbook are both silent on this matter, then an employer does not have an obligation under law to pay an employee for time that they cannot be or are not at work due to bad weather. However, if you have a provision in the employee handbook or if it is a term of your employee’s contract of employment that you will pay employees who are late for work or who do not attend due to bad weather, then you must comply with those provisions. Not to do so would be a breach of contract and / or an unlawful deduction of wages and your employee would be entitled to bring a claim. You should also consider whether paying an employee for time out of work due to bad weather has become an implied term of their contract of employment through custom and practice. For example, if an employee has worked for you for 20 years and has had a number of occasions off work or being late for work due to bad weather in this time, and you have always paid him or her, to suddenly decide to stop doing so now would be tricky. This is still the case even if your employee handbook or the contract of employment has always said that you will not pay for time off due to bad weather and you have done so anyway. In these circumstances you should consider consulting a solicitor. You may consider allowing home-working. If your employees can access what they need to from home or have a job that allows them to, could they work from home on this occasion? That way the job will get done, they can still be paid, and there is no risk to the employee’s health and safety. It can also be morale-boosting or avoid a situation of conflict if the employee could not otherwise do their job due to not being able to get into work. Could you be flexible about working hours? Your employee didn’t show up until 10:30 as they had to dig their car out of the snow, and they have a big project to finish, which they could have done had they shown up on time. Instead of refusing to pay and getting into a situation of conflict, consider allowing them to make the time up in their lunch hour and / or after work (remember the breaks required by the Working Time Regulations!). Remember to be fair across the board. If two employees do not show up for work or show up late because of bad weather, they should both be dealt with in the same manner. Paying one and not the other for any reason would not be good practice. For example – it may not even enter your mind as a reason for making the decision, but should you by chance pay one employee of a particular gender, and the employee you do not pay is of a different gender, the employee who was not paid may have a discrimination claim. Remember staff morale. The likelihood is, an employee who shows up late to work because they have been trekking through the snow just to get there is probably already going to be pretty fed up. Confronting them and pointing to their colleagues who made it in on time is not going to help. Avoiding conflict and considering resolving any issues by using bullet points one and two above will make for a happier workforce and no doubt a more successful business as a result. Consider health and safety. If the weather is really severe, do you really want your employees travelling to and from work? If there are alternatives or it is not absolutely necessary for an employee to find their way to the company premises, as an employer you are entitled to use your discretion. Just remember to be fair across the board. Make reasonable adjustments. Is it a good idea to insist that someone who suffers from arthritis or brittle bones makes their way to work when the surfaces are icy? In those circumstances, it would be prudent to give serious consideration to bullet point one above. Be prepared! Have a plan in place. This means policies and procedures that set out clearly the company’s position in respect of pay, attendance, absence etc. What about an employee who could actually get to work, but needs time off to look after their child because the school is closed? Parents are entitled by law to ‘time off for dependants’. This means if the school of your employee’s child or children closes, your employee may be entitled to unpaid time off to make alternative child care arrangements. There is no limit to the amount of time an employee is entitled to as ‘time off for dependants’ – it would be for a tribunal to decide what was ‘reasonable’. Flexible working arrangements (such as allowing the employee to make time up) or home working may be a solution to this issue. Can’t I just make my employees take annual leave? Although you can tell employees when to take annual leave, you must give them twice as much notice as the amount of time you require them to take as annual leave. So if you know for a fact that it is going to snow on Wednesday, let your employees know first thing Monday that they are taking Wednesday off as annual leave! The reality is, it is virtually impossible to say for sure whether severe weather will arrive and cause enough chaos that your employees will need to stay at home, so having employees take annual leave is not usually an option as giving enough notice will not always be possible. The exception to this is if your employees are entitled to more than the statutory minimum holidays. If this is the case then you can insist that your employee takes annual leave without notice. The central heating has broken – should I send my employees home? 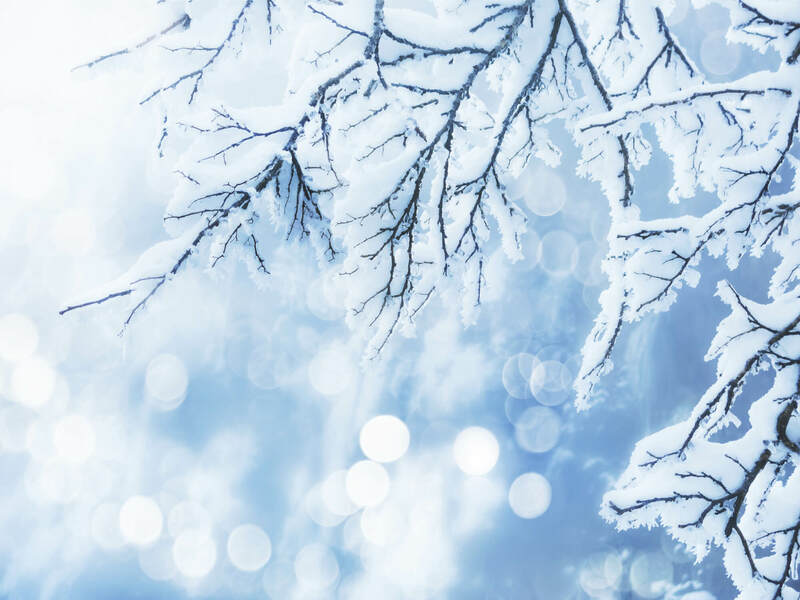 Although there are no laws stating a maximum or minimum temperature for the workplace, guidance suggests a minimum of 16 degrees centigrade (or 13 degrees for those doing physical work). 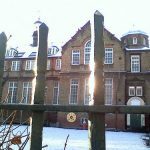 Despite the lack of legal requirement, you may want to consider letting your employees go home if the central heating breaks or the office is otherwise too cold. Do you really want to be there trying to concentrate with chattering teeth? Again, flexibility and thinking around the usual practices (for example allowing home working) may be key. It might be easier for your employee to concentrate on that report from the warmth of their own home, rather than in an ice cold office. Alternatively, if the temperature in the office is not quite that cold, consider relaxing the company dress code. Let your employee’s come to work in their thick, woolly Christmas jumpers if that will help them do their job and feel more comfortable. Remember – if you decide to close the office you cannot refuse to pay your employees. Given the cost of staff wages and salaries, now really might be a good time to consider working from home arrangements. To summarise – preparation is key. Decide what it is that you want for your business. Having the right policies and procedures in place (and communicating these to staff) before the snowflakes fall will help no end if and when the cold weather eventually hits. Rocket Lawyer UK have further guidance on employment policies and procedures in our Quick Guides and HR policies and procedures as part of our suite of legal documents for business. You can also ask a legal question for free with our Ask a Lawyer service.